Home » Can an AED Start a Stopped Heart? The short answer is no – an AED cannot start a stopped heart. What a defibrillator does is actually restart of the heart. For that to happen the heart needs to have any sort of electric activity, meaning – it needs to have some contractions. AED is used when the heart doesn’t work regularly. It can be pumping too hard or too slow and it will most likely be pumping without the rhythm. The rhythm is essential for survival and that is why it is so important that the heart rate is restored. However, an AED is still essential as the means of First Aid when a person is experiencing a heart attack. In combination with CPR it is what keeps the person alive until the Ambulance arrives. They are then transferred to a hospital where they will get the help they need. That is the reason why an AED should be in every workplace in New Zealand. The time window in which the reaction can help the patient is very limited, so an AED needs to be close at hand. 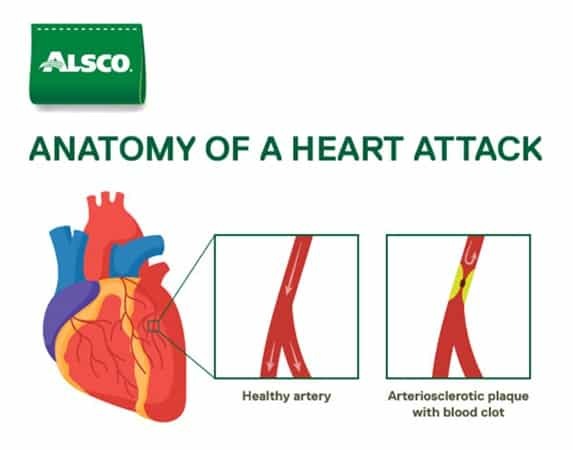 Contact Alsco NZ to rent enough defibrillators to keep your workplace safe. What Does a Defibrillator Do to Your Heart? The defibrillator releases a shock that will disrupt the electrical activity of the heart that causes it to contract for a split of a second. Hopefully, the heart will continue working properly after that, because AED shock works like a restart button. The state of irregular heartbeat is called arrhythmia. The types of arrhythmias that can be fixed with the AED shocks are ventricular fibrillation and the ventricular tachycardia. Ventricular fibrillation is the state in which the ventricles (lower chambers of the heart) don’t contract like they should in order to pump blood, but rather quiver too quickly. These mild and irregular movements are not enough to push the blood out, so the blood flow stops. VF can be caused by a damage of the heart muscle, some severe infections, issues with aorta and many more. Ventricular tachycardia is when the ventricles of your heart have more than 100 beats in a minute and are in discordance with the upper chambers of the heart. Even though this means that the heart beats faster, the irregularity doesn’t allow for the chambers to fill with blood enough before the pumping out. In other words, there is not enough blood being pumped from the heart to sustain a person. The rhythm of the heart is caused by electrical impulses. So, when these impulses are not sent properly, AED restarts them by disrupting them in hope that the heart will assume the normal impulse rate. Why Is Asystole Not Shockable? Asystole means that a person doesn’t have a heart rhythm at all. The heart has stopped. There are several systems in the heart that produce the electric charge that keeps the heart contracting and pumping. When that system is disrupted, you can restart it, but when the system is entirely broken that is another story. Asystole means no electric activity, so there is no activity to disrupt or jumpstart. That is why the asystole is a very dangerous condition that cannot be helped by an AED. What helps with the asystole is the CPR. At least, this is what helps to keep the blood pumping and preserve the body from shutting down completely before the real help is administered. The real help that has the chance of restoring the systolic activity of the heart are the medications. Epinephrine is the most commonly used medication in this situation. 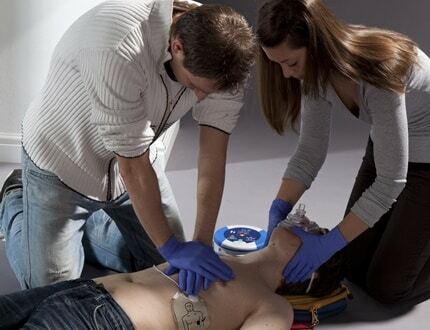 In case of severe emergency, it is given to the patient every 3-5 minutes, while performing the CPR. Can CPR Restart a Stopped Heart? CPR alone is unlikely to restart a stopped heart but it can help delay the dying off of the tissue until the medical professionals arrive and try to revive the person. Brain damage and brain death happen when the air supply is cut off for more than 3-4 minutes. When the heart stops, there is no way for the oxygen to be distributed throughout the body. However, there is still some of the air left in the body when the heart stops, and CPR helps it keep moving through the body. In combination with mouth-to-mouth, this First Aid method can even help more oxygen reach the blood and delay the fatal outcome even longer. 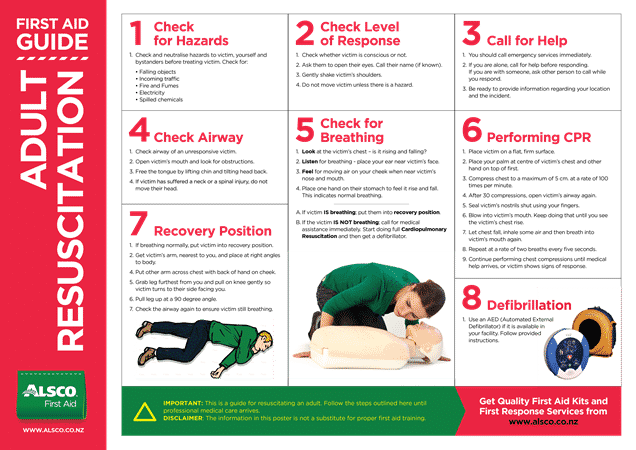 What Are the Steps of CPR? Place the heel of one hand on the lower half of the person’s breastbone. Locate the lower part of a person’s breastbone. Press it with the base of one hand and put your other hand over, grasping your wrist or interlocking your fingers. Press down the chest, trying to reach one third of the total chest depth. Keep pressing in the rate of 30 compressions to two breaths of mouth-to-mouth or 100 compressions without mouth-to-mouth. CPR stands for Cardiopulmonary Resuscitation. It should be started as soon you see that a person is unconscious and unresponsive. First, check if the person’s airways are blocked and if they are – remove the obstacles. Check if the person is breathing at all. If the breathing is normal, roll them on their side, if it isn’t or the breathing is irregular, start the CPR compressions. If there is anybody else there to help you, rotate when doing the CPR, because it is tiring and it is easy to lose the rhythm. CPR is your best chance for the asystole. However, AED is the best option for the VF and the V-Tach. Since the symptoms of both of these things are similar, you have no time or the means to determine whether a person suffers from one or the other. That is why your best bet is to start CPR immediately and then add AED to your efforts. AED will not release shocks if they are not needed, so you don’t have to worry about doing more harm than good with it. Contact Alsco New Zealand today and rent portable AEDs for your workplace. Inform your workforce about their location and how they are used and boost the safety levels in your company.